The decision by Unilever to concentrate its headquarter operations in Rotterdam and close its London HQ has been welcomed by prime minister Mark Rutte and other members of the government. The decision is ‘good news’, Rutte said on Thursday. It is very important that the headquarters is here, because this is where the decisions are taken, he told broadcaster NOS, adding that eventually it will create more jobs further down the line. Rutte, who used to work for Unilever before entering politics, said that the decision did not mean the Netherlands should now cancel its decision to remove the tax on dividends – a move that will cost the treasury €1.4bn. ‘We did not just do it for Unilever. We want to attract as many headquarters as possible to the Netherlands,’ broadcaster NOS quoted the prime minister as saying. The prime minister has said repeatedly in the past that the decision to get rid of the tax on dividends is a matter of principle rather than doing someone a favour, referring to claims that multinationals such as Shell and Unilever had put pressure on the government. But GroenLinks leader Jesse Klaver was quick to make the connection, describing the situation as ‘blackmail politics’. ‘The result is the Netherlands is €1.4bn worse off for not more jobs,’ Klaver said. Fewer than 50 Unilever jobs are reportedly moving from London to the Netherlands. 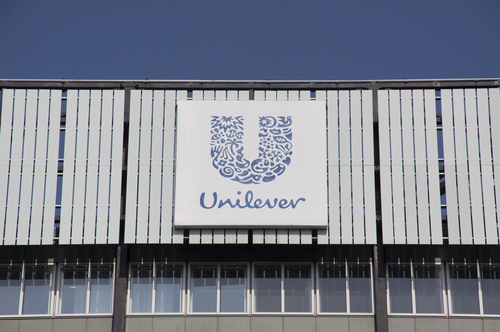 The ruling parties welcomed Unilever’s decision, as did the Labour party. ‘Great news that Unilever has opted for Rotterdam. Let us now invest that €1.4bn in dividend tax in the Netherlands rather than give it as a gift to foreign investors,’ Labour leader Lodewijk Asscher said. Hans de Boer, chairman of the biggest employers organisation VNO-NCW said the Unilever decision is a boost for the Netherlands’ reputation as a good place to locate an international company. ‘Headquarters breed top talent,’ he said. Unilever has maintained separate headquarters in Rotterdam and London since it was founded in 1930 but has always operated as a single business with a single board of directors. The British government had been lobbying hard to keep Unilever in London as ‘proof’ to others that Britain remained a good place for corporate investment.